West Island School works with students and parents to guide, support and advise students in making optimistic but realistic choices for their pathways in higher education. We work towards helping each individual student select courses that excite them and secure places where they will achieve their potential. We have a Head of Careers, a full time Higher Education Counsellor, Assistant Counsellor and part time administrative support responsible for careers guidance. The Post 16 tutors also play a crucial role in guiding individual students in their group. Every care is taken to ensure that students make a sensible and informed decision with the help of higher education counselling and parental involvement. Guidance takes into account aspirations, interests and abilities to achieve the best fit for the individual. Year 9: the Learning for Life Programme when students make their first I/GCSE option choices. Year 10: students discuss career opportunities and the world of work and receive initial guidance in the selection of IB or ID career related options. Year 11: students are given detailed guidance in selecting IB/ID options and are invited to have an interview with the careers team before they make their choices; there is also the opportunity for students to participate in the optional PSAT tests in preparation for applications to US universities. Year 12 & 13: there are two evenings dedicated to university planning, strategies and the application process; students are invited to interviews to prepare with the careers team; they are given detailed guidance on the application process, personal statements and university essays in the Post 16 core programme; there is a day dedicated to making applications. In addition to this we work with students who have individual needs and may need extra support in terms of securing places in the most competitive universities, in countries less often applied to and/or with unusual pathways beyond school. Students are also given the opportunity to participate in school-based question and answer sessions with outside speakers from universities and the world of work, as well as WIS alumni. Students in Year 12 and 13 intending to study university courses related to the professions are also encouraged to undertake work experience during the holidays. 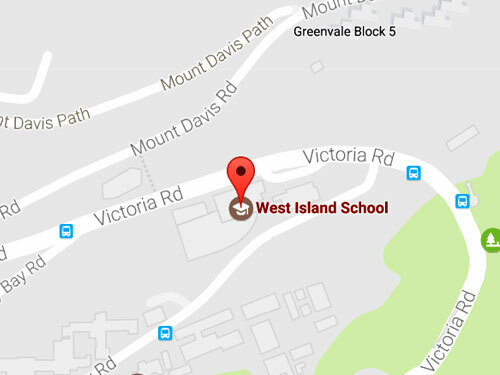 The vast majority of West Island School students go on to some form of tertiary education. Students can utilise the well-equipped Careers Rooms which has a library of up-to-date university prospectuses and other resources. In addition, University representatives visit our school to make presentations which are open to WIS families and answer questions regarding entry requirements for British, U.S., Australian, Canadian and Hong Kong universities and other destinations. We organise and host events specific to supporting our applied learners in exploring progression pathways.